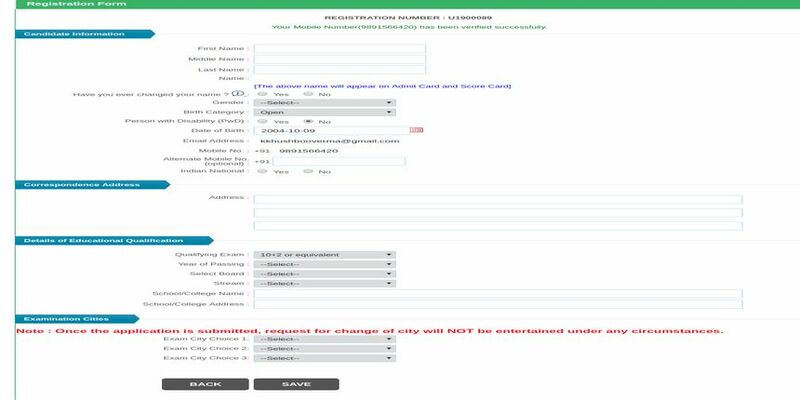 UCEED Application Form 2019 - Indian Institute of Technology (IIT), Bombay had released the UCEED 2019 application form on October 9 2018. Candidates aiming to take admission in the bachelor of design programme registered for UCEED till November 20, 2018 by paying late fee of Rs 500. The last date for filling UCEED application form 2019 was November 14, without late fee. 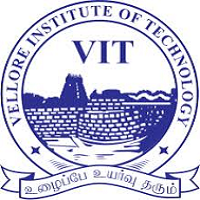 Initially, the end date for filling the form was November 9, 2018. 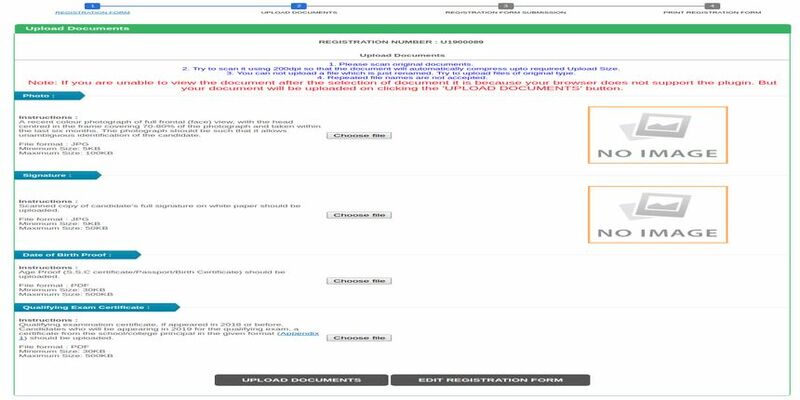 In order to appear for UCEED 2019, candidates had to register only in online mode. Candidates must ensure that they meet the requisite eligibility criteria before they start filling the application form. The information that candidates had to furnish in UCEED 2019 application form includes their personal details, academic qualification as well as contact details. After providing all the information, candidates paid the requisite fee which was non-refundable and non-transferable. UCEED entrance exam is conducted in online mode for B.Des which is offered at IIT Guwahati, IIITDM Jabalpur. 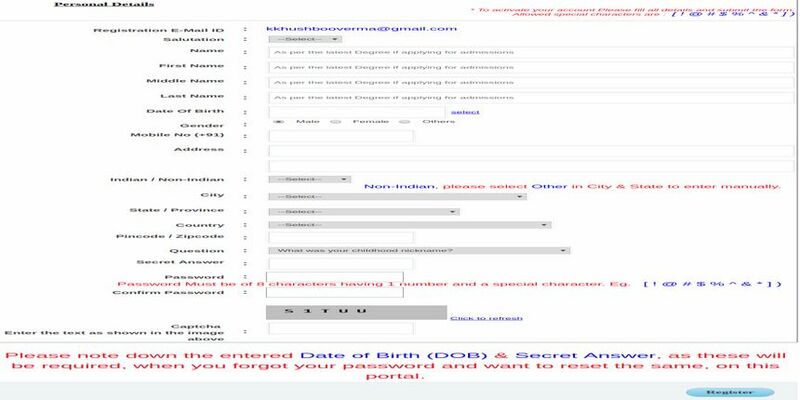 To know all the information about UCEED application form 2019. IIT Bombay conducted UCEED 2019 on January 19 in 24 cities across the country. 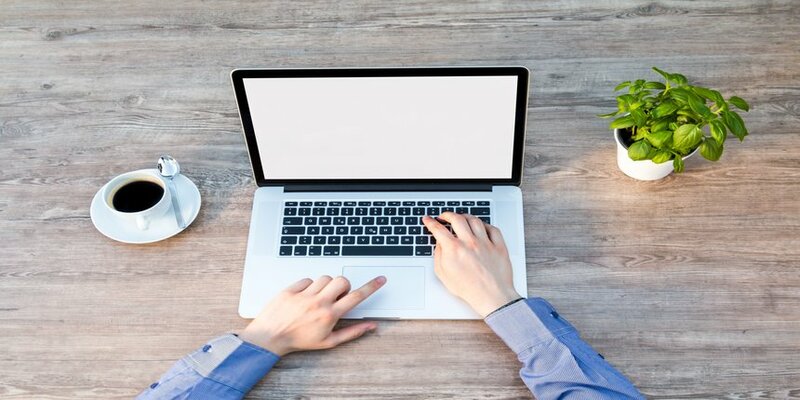 What to keep ready before filling UCEED Application Form 2019? The following documents were kept ready before candidates started filling the application form of UCEED 2019. How to Fill UCEED 2019 Application Form? Candidates followed the steps that are given below while filling the UCEED application form 2019. Click on the link received in the mail and then candidates will be redirected to a new page where they have to enter the following details. 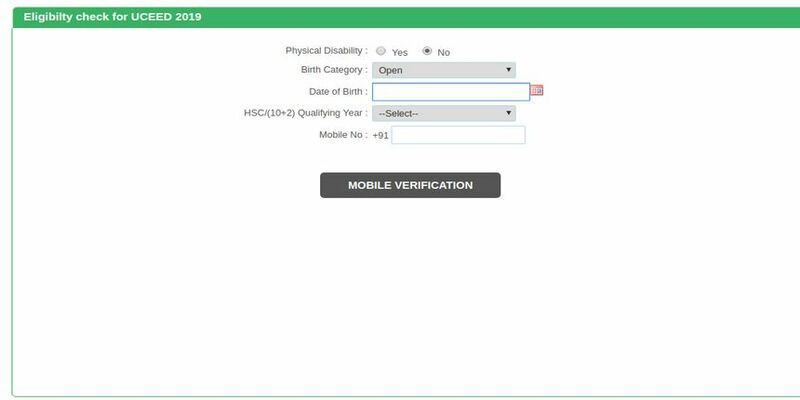 Next students will have to click on ‘Mobile Verification’ button, they will receive an OTP that they have to enter on the specified space and again click on ‘Mobile Verification’ button. After clicking on the save button, you can preview the form and check if all the details entered by you are correct. Next click on ‘Confirm’ button. Candidates have to upload the requisite scanned documents while filling the UCEED application form 2019. They must ensure that the scanned documents are in accordance with the specifications that are mentioned in the table that is given above. A recent color photograph of full face with the head right in the centre of the frame. After filling all the requisite details in UCEED 2019 application form and uploading the documents, candidates can preview the application form. Candidates also have the option to make any changes in the registration form before they pay the fee for registration. Click on the “pay fee” button and proceed to pay the requisite fee. The fee is not be accepted through any other mode. The fee for UCEED application form 2019 that has been mentioned above are applicable if it is paid before the stipulated date. Candidates had to pay Rs 500 as late fee if they register after the last date for filling UCEED 2019 application form. I scored 108 rank in UCEED 2019 in SC category. What would be the best possible college i can get? I got 97.07 in UCEED what would be my rank and can i get admission in dtu? In uceed my rank is 1098(open).What are the best collages in industrial or transportation designing i could get admisaion for??? Your UCEED brochure has been successfully mailed to your registered email id .